Home » Siding » What Should Vinyl Siding Installation Cost? However, unlike that adorable phone case, the cost to replace vinyl siding differs based on your home and your options. While we can’t give you a precise vinyl siding installation cost in this blog, we can give you a ballpark figure. 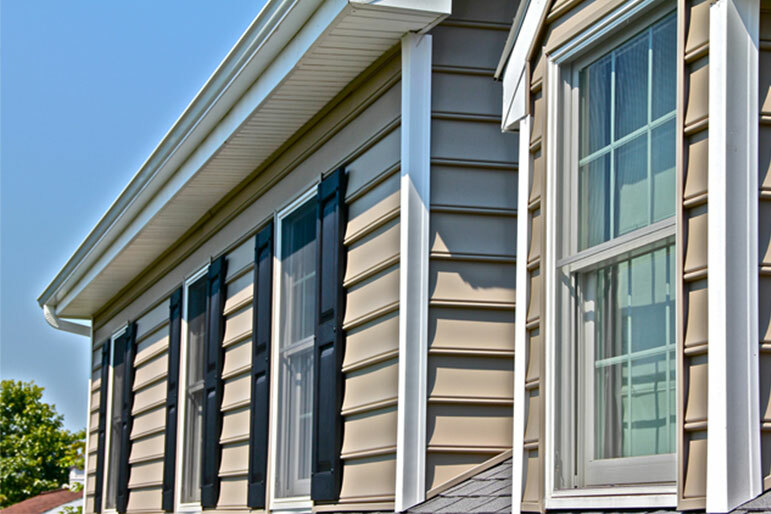 Read our blog to estimate how much it’ll cost to install vinyl siding on your home. 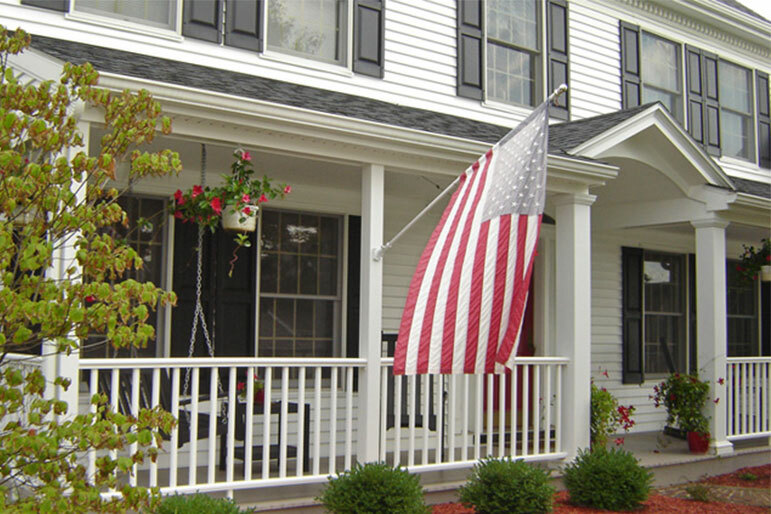 At Eby Exteriors, we have decades of experience installing vinyl and other siding material in homes all across Pennsylvania. Every job and every price is different. One of the main factors that causes differences in the cost to install or replace vinyl siding is the size of the house — and as a result, the amount of siding material needed. For a house of this size, you can expect to pay somewhere in this range for total vinyl siding replacement. The price to work with an experienced and well-reviewed vinyl siding installer is well worth it. Improper installation can cause your siding to leak, causing huge infestations of mold behind your walls. The average price to replace vinyl siding on your home can also change if you want to add extra insulation for even better energy efficiency. See the quick siding fixes that boost curb appeal. This price range will have quite a bit of variance depending on the specifics of your house. If your house has particularly complicated shapes and angles, you’ll fall closer towards the top of the estimated price range. In addition, adding more complicated trim options can actually make your project exceed this price range. These extra-large homes tend to be the most ornate in terms of their trim and other siding options. Oftentimes these large homes require different cuts of siding to match the additional lines and steeper peaks of their complicated architecture. While these features make the work more labor intensive, they also make your home more beautiful. The average cost to replace vinyl siding on a home of this size reflects the amount of materials that will be used and the complexity of the job. The final factor that can impact the siding replacement cost of your project is the difficulty of work on your individual house. Age, damage, or angular home design can make the entire process more time consuming. While saving money is always a factor, there’s a difference between shopping smart and cutting corners. Your home’s vinyl siding has an important job to do keeping water away from your home itself. When siding is installed on an extreme budget, mistakes can be made which can lead to serious damage. If siding is installed improperly, it will leak, which can allow mold to grow extensively — the kind of mold growth that costs way more to fix than the new siding ever did. Bottom line: improper installation costs you more in the long run since you’ll still need to pay for new siding anyway — in addition to fixing the damage the first job caused. We also offer extensive siding repair services. Although vinyl siding continues to be the dominant siding product here in the northeast, there are also a number of other excellent low-maintenance siding alternatives available including, fiber-cement, pvc, engineered wood, and various composite options. While these generally cost more than vinyl, they do offer a more substantial wall protection and a more wood-like appearance. The best way to find your exact vinyl siding installation cost is to schedule an estimate with one of our siding consultants. Not only will we help you find the siding color that matches your décor, but our expert estimator will give you the real cost to install vinyl siding on your home. A lot of homeowners we partner with know that it makes sense to pair vinyl siding installation with window, door, and other exterior work at the same time. At Eby Exteriors, we perform ALL of the exterior work you need with the same focus on style and unbeatable quality. 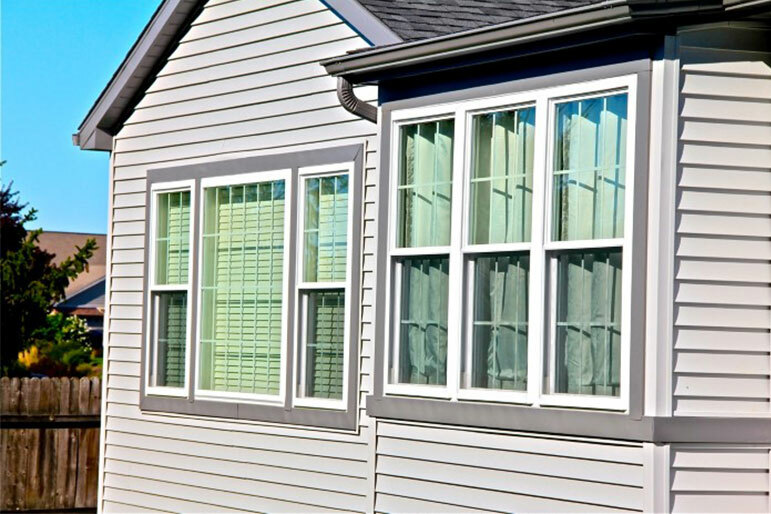 Get a Free Vinyl Siding Installation Quote!